Salute Lucille Rights, TCGS Life Member, for her many contributions to history, genealogy and archaeology. by Ruth Hansell (Treasure Coast Genealogical Society Bulletin, Vol.1, No. 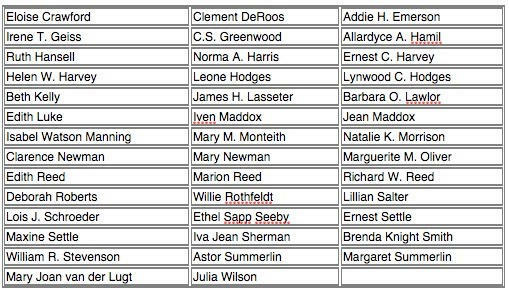 1, Spring 1982) The Treasure Coast Genealogical Society was organized January 23, 1980 with twenty-one people present. The formal organization was an outgrowth of the Genealogy Class taught by Beth Kelly at Indian River Community College the previous fall. Beth Kelly and Iva Jean Sherman deserve much of the credit for the founding of this organization. Iva Jean became the first President. Other officers were: Vice President, Ruth Hansell; Secretary, Lillian Salter; Treasurer, Elizabeth Lambertson. (Mrs. Lambert son resigned after a short time and Brenda Smith assumed this responsibility.) Jim Lester became editor of the newsletter. Patricia Owen, President of the Charlotte County Genealogical Society, spoke to the group, giving valuable information and advice regarding the formation and work of such a society. Soon after its organization, the Society adopted by-laws, setting types of membership, dues, and other necessary provisions. It was decided to meet at 7:30 p.m. on the fourth Wednesday of the month at the Fort Pierce Power Plant. Charter membership was held open until May, 1980. At the regular meeting on May 28th an official enrollment ceremony was conducted with 40 members signing the roll. Informative programs have been presented by both guest speakers and members of the Society. In addition to Mrs. Owen, guest speakers have included Eileen Willis from the Orlando Public Library, Roger Poitras, Clerk of the Court of St, Lucie County, Bob Terry of the Fort Pierce Cemetery Association, and Barbara Dalby, President of the Florida State Genealogical Society. Ada Coats Williams presented a most unusual genealogical tribute to her brother, using filmed and recorded materials. Beth Kelly, Iva Jean Sherman, Clement DeRoos and Ruth Hansell, members, have also presented programs. Projects undertaken and completed by the Treasure Coast Genealogical Society are the Donation of $275.00 for the purchase of genealogical books by the County Library, Abstracting of Probate Records of St. Lucie County, and transcribing information from the Fort Pierce Cemetery. 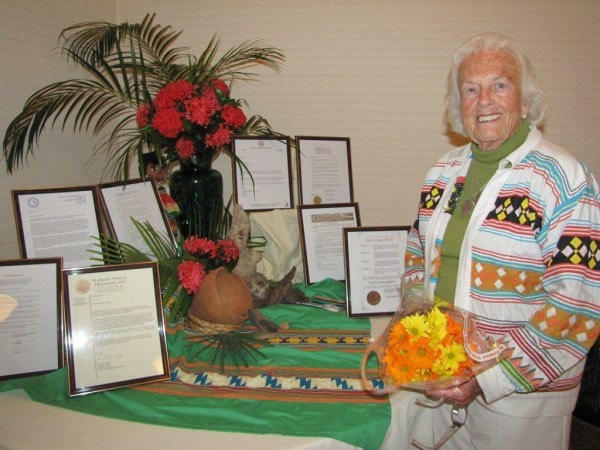 Pat Foreman was a dedicated researcher and valued member of the Treasure Coast Genealogical Society who designed and maintained the first TCGS website. Now deceased, Pat Foreman performed many valuable tasks that contributed to genealogy and history. This website is dedicated to Pat and the charter members of the TCGS.